It’s no secret that America’s youth occasionally experiments with recreational drugs. In fact, 22.6% of Florida’s high school students surveyed in a 2014 Florida Youth Substance Abuse Survey conducted by the Executive Office of the Governor have admitted to using marijuana at least one time in their lifetime, and 42.6% of Florida high school students admitted to binge drinking at least one time in their life. Being in possession of recreational or pharmaceutical drugs without a valid reason and a legal prescription is illegal. This behavior is not ideal, however it is not uncommon or unheard of by any means. Inevitably, juveniles will be caught by law enforcement with drugs in their possession and will be charged for them. Drug offenses tarnish a person’s criminal record and could inhibit future employment or membership of certain agencies or companies as a result. The justice system tends to be strict on youth who use drugs as a means of deterring other young people from engaging in the same behavior. Illegal nature of the controlled substance: The State must prove that the substance in question is, in fact, illegal and specifically prohibited by Florida law to result in a guilty conviction. Defendant’s Knowledge: The State must prove that the defendant actually knew, or should have known that the substance in question is an illegal controlled substance. Defendant’s Control: The State must prove that the defendant had control over the location and presence of the controlled substance. The prosecution’s case is much easier to pursue if the defendant was holding the drugs or a container used to store the drugs, rather than if they were in an area nearby or in a car that was not controlled by the defendant. Simple possession charges are misdemeanors of the first degree and are punishable by up to one year in jail. First-time juvenile cases are almost always done in juvenile court, with the opportunity to have the charged sealed from the defendant’s record. Sentences typically end up as some combination of counseling, probation, diversion or, in rare cases, detention. The State is aware that juveniles who are convicted and left with a criminal record are more likely to reoffend than those who have a clean criminal record. Because of this, the juvenile system will allow for minors with simple possession charges be diverted from the criminal system and allow them to walk away from the experience without a criminal record. Juveniles are more likely to learn from and become rehabilitated from drug possession when they are given the opportunity to make good on their mistake, rather than when they are stuck with harsh penalties and a criminal history. In Florida, there are specific guidelines to distinguish types and amounts of drugs that will deem them simple misdemeanor possession versus felony possession or intent to sell. Florida is a unique state in the sense that prescription pill abuse has been rampant in the state, so law enforcement and legislature cracked down upon it specifically. Marijuana: marijuana is the most commonly used drug in the state of Florida. Florida has remained tight on marijuana laws despite liberalization in different states across the country such as New York, Colorado and California. Simple misdemeanor marijuana possession is defined as possession of less than 20 grams without clear intent to sell. The phrase “intent to sell is defined as having a scale or weighing device, individualized baggies or any other proof of distribution will automatically bump the charge up from misdemeanor to felony. Possession of more than 20 grams is a felony punishable by up to 5 years in jail and a fine of $5,000. Trafficking charges will result if the defendant is in possession of more than 25 pounds of marijuana. Possession of any amount of marijuana within 1,000 feet of a school is a felony, punishable by up to 15 years in prison and a fine of $10,000. Cocaine: Due to the rapid influence of cocaine in South Florida in the 1980’s, Florida law enforcement is very tough on cocaine possession and sale. Possession of any amount of cocaine is a felony of the third degree in the state of Florida. Possession of 28 grams or more is a felony of the first degree. Juveniles arrested for possession of cocaine are typically processed in regular adult court under normal Florida law. Prescription Drugs (Controlled Substances): Florida used to be rampant with “pill mills,” prescription drug distribution centers in which people could easily access prescription drugs such as painkillers like oxycodone. To counteract these rampant pill mills, Florida legislature has cracked down on prescription pill laws. Possession of a controlled substance without a valid prescription is a felony of the third degree, punishable by up to 5 years in prison and a fine of up to $5,000. Heroin: According to data accumulated by Hillsborough county law enforcement, heroin use and deaths associated with it are on the rise in Florida. Possession of heroin under 10 grams is a felony of the third degree, punishable by up to 5 years in prison, a fine of $5,000, driver’s license suspension and a permanent criminal record. Possession of over 10 grams of heroin can result in a punishment of up to 30 years in prison, up to $10,000 in monetary fines, and revocation of driver’s license for 2 years. MDMA/Ecstasy: MDMA or ecstasy is a popular club drug associated with nightlife and Florida’s youth. The State is rather tough on even simple possession of MDMA, as possession of any amount under 10 grams is a felony of the third degree, punishable by up to 5 years in prison and a fine of $5,000. MDMA is the main ingredient in ecstasy pills, however the pills themselves can be cut with other things to stretch the product from a dealer’s perspective. Therefore, law enforcement will judge amount of MDMA based on the weight of the entire pill rather than the estimated content of MDMA within that pill. Possession of over 10 grams of MDMA or MDMA pills is considered to be trafficking, carrying a mandatory minimum prison term of 3 years, and a maximum of 30. PVP/Flakka: PVP, or Flakka, is a new drug epidemic facing South Florida, specifically Broward County. It’s dubbed “$5 insanity” because it is extremely cheap and users exhibit erratic and irregular behavior when they take the drug. The law is still catching up to the sudden appearance and rapid expansion of the use of this substance so the laws are a bit blurry surrounding it. As of right now, flakka is illegal and simple possession up to a certain amount is a felony of the third degree with increased severity as the amount increases. Methamphetamine: Crystal meth is a highly addictive stimulant, the use of which has spread rapidly throughout the United States. It is currently classified a Schedule II controlled substance in the state of Florida, which puts it at a third degree felony for possession under fourteen grams. Possession of fourteen grams or more of methamphetamine is classified as trafficking and comes with a minimum mandatory prison sentence. Although cases are usually handled in juvenile court, the decision is ultimately left up to the judge. If a judge feels as though the defendant exhibited especially criminalistic behavior, or if the juvenile has a criminal history and has been given opportunities to change in the past, they will likely be sent to adult court and processed as if they were over the age of 18. Florida leads the nation in number of juveniles sent to adult court to be processed. This is why retaining the services of a Broward County juvenile drug possession lawyer is crucial to a juvenile defendant’s reputation. Drug charges can ruin a person’s livelihood and career ambitions, especially if they are charged at a very young age. The Broward County juvenile drug lawyers at The Ansara Law Firm have handled thousands of drugs cases involving both juveniles and adults. We understand how important it is to educate the youth of South Florida of the gravity of an arrest and the implications they can have for the remainder of a young person’s life. We will fight the State vehemently to ensure that a juvenile does not ruin his or her life based on a simple mistake that they made as a child. Don’t leave your future up to Florida’s broken criminal justice system; call our attorneys today to schedule a free initial consultation. 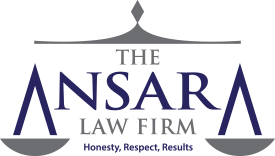 If you, your child, or the child of a friend or loved one have recently been charged with juvenile drug possession, call The Ansara Law Firm immediately at (954) 761-4011 to schedule a free initial consultation to discuss your legal matter.